OUT NOW on BEATPORT, TRAXSOURCE, TRACKITDOWN, JUNO DOWNLOAD, iTUNES and all good download stores. JEEPERS! 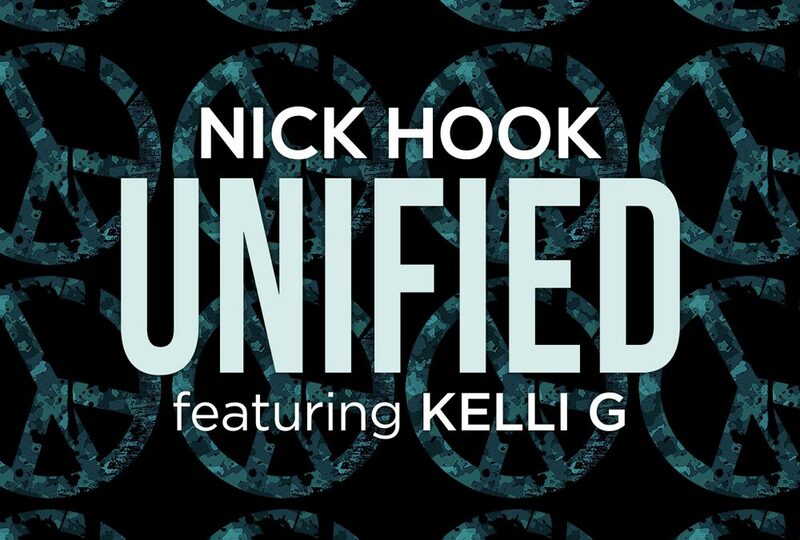 proudly presents ‘Unified’, a new single from long-time house music DJ/producer NICK HOOK, which features the sublime vocals of singer Kelli G.
‘Unified’ is an inspirational house track with a deep bass-line, funky percussive groove, striking piano chords and a strong vocal message. It’s a track made for people who love and understand the true meaning of the house music scene. ‘Unified’ is a call for unity against prejudice and division. We are one! Look out for more club mixes coming soon in part two of the release. DJ support includes: LIZZIE CURIOUS, JAY KAY, CHRIS SAMMARCO, TENACIOUS, JOE BONNER, LAWRENCE FRIEND, CONOR MAGAVOK, ROB BOSCAMP, MATT DAWSON, MARK JACKSON, SHARAPOV, DANNY SLADE and many more.